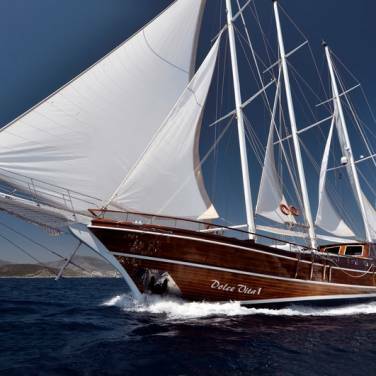 Motor sailer Cesarica is a luxury charter yacht available for rent and cruises in Croatia. 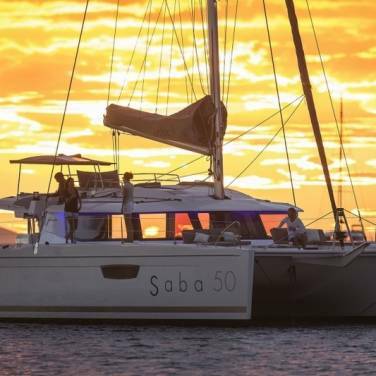 Produced with the high-quality materials such as mahogany, oak and teak, it provides extraordinary sailing experience while exploring the Adriatic coast and mesmerizing Croatian islands. Cesarica features 11 comfortable and beautifully decorated cabins that can accommodate up to 24 passengers aboard. Careful attention has been given to the cabin design; there are 7 cabins with queen beds, 2 cabins with queen bed and one single bed while the remaining two cabins have two single beds each. As far as the rest of the yacht is concerned, the interior areas are very tastefully furnished. Ample salon has four dining tables whereas the main deck hosts a comfortable lounge area and a fully stocked bar. Beside its impressive interior, the yacht also features a top sun deck with lounge chairs and an outdoor dining area where you can sample delicious meals inspired by the traditional recipes of the Mediterranean cuisine. For the ultimate relaxation on board, there is a Jacuzzi and sauna. 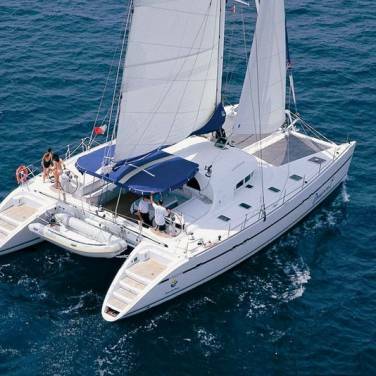 Furthermore, a full range of aquatic activities will surely delight water sports enthusiasts whereas a highly professional crew is committed to offering a five star service during your stay. Selecting your own cruising itinerary is another perk of chartering motor sailer Cesarica, giving you the possibility to experience the boundless natural beauty of Dalmatian islands and vibrant facets of Croatia’s cultural and historical heritage. All cabins are spacious and constructed of mahogany walls and floors with private bathroom. All en-suite bathrooms include glass enclosed massaging shower, marble counter top vanity with glass vessel sink, and marble slab floor. All cabins are individually air-conditioned and include a desk, nightstands, reading lamps, closet, in-closet safe, under bed suitcase storage drawers and TV. a) Drinks and beverages are available from yacht’s bar by the bar price list.